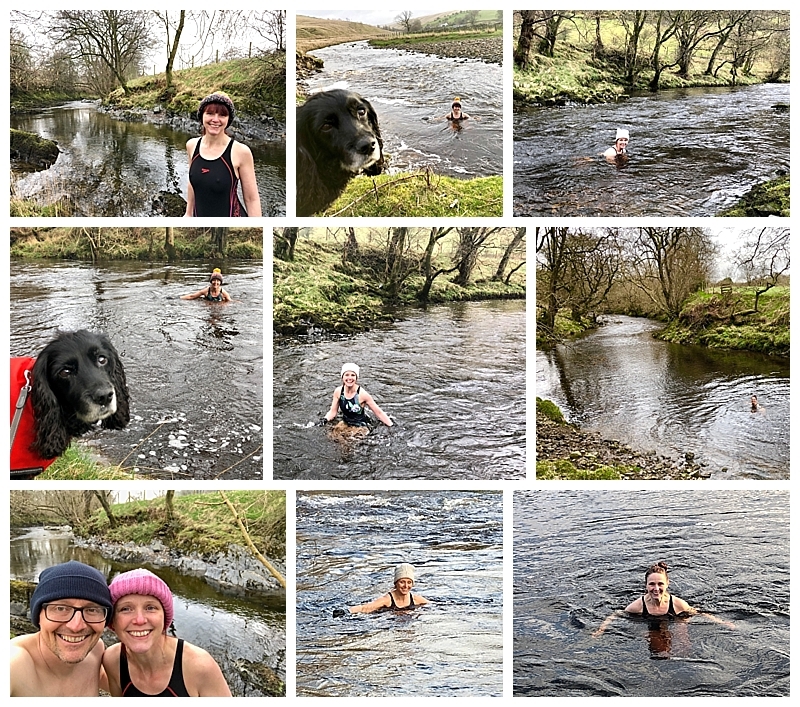 For various reasons, I have titled this blog winter cold water immersion, dipping and swimming, because all three are different and I have taken part in all three at different times over the UK winter season. 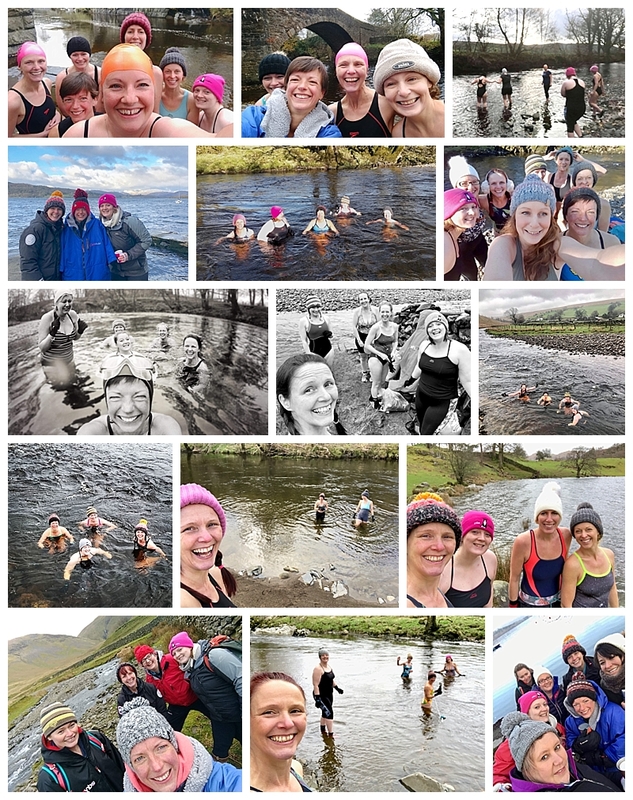 Many of you who follow our Instagram and Facebook profiles will have seen me (Joanne) in a swimming costume and bobble hat and thought, or commented, on how I have lost my marbles since moving up North. 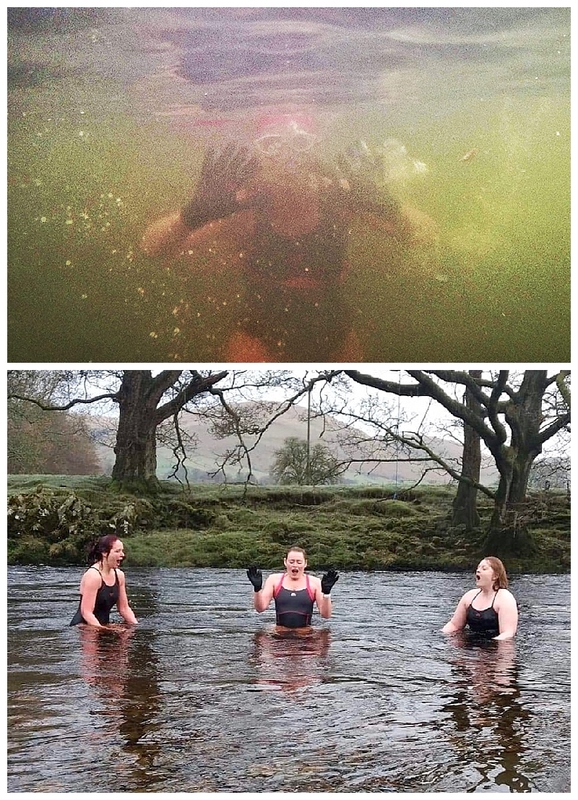 So after five months, I thought I would share my cold water experiences and answer those questions. 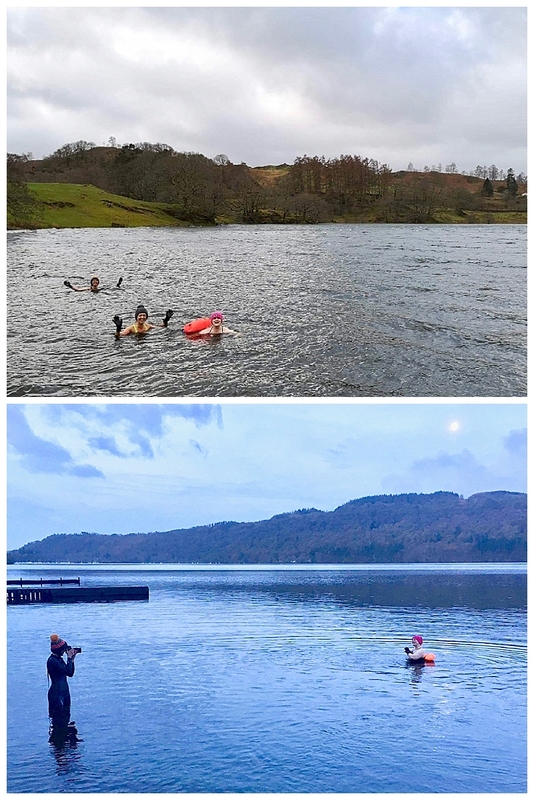 Back in November 2018, my friend and swimming instructor, who is also a firefighter, put the idea out there, that she would like to continue to get in to open water throughout the winter, like so many others do throughout the uk, but would like a group of like-minded people to do it with, so it would be more social, more encouraging and of course safer. 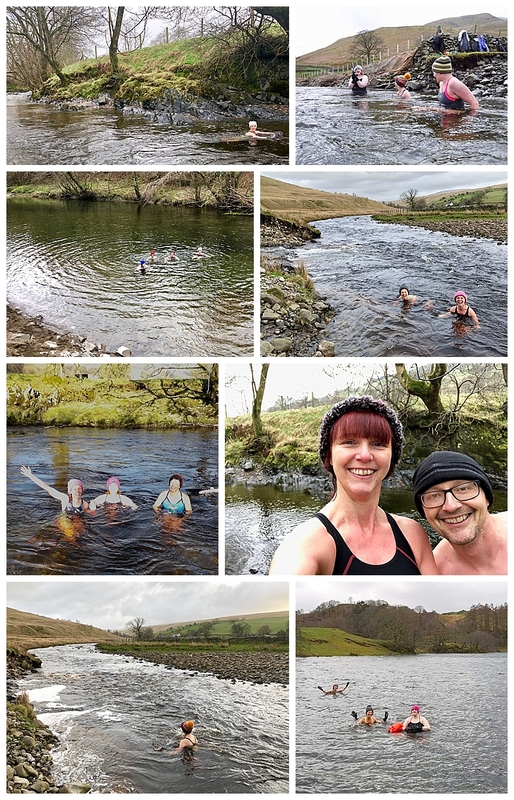 The group got started and we nicknamed ourselves the Sedbergh Dippers and over the months, I think I have been in to the water with about 17 different people. 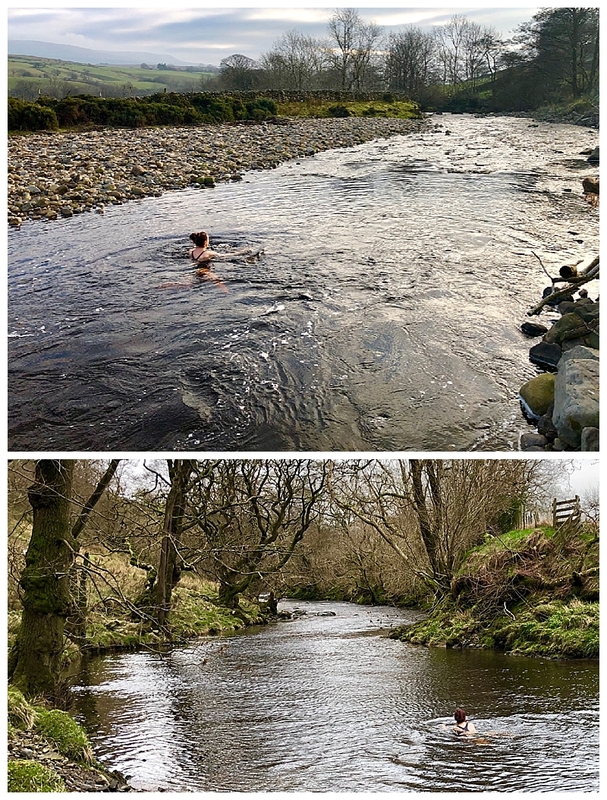 I have been in to rivers, a tarn, lakes and the temperature has ranged from 2 to 10 degrees. 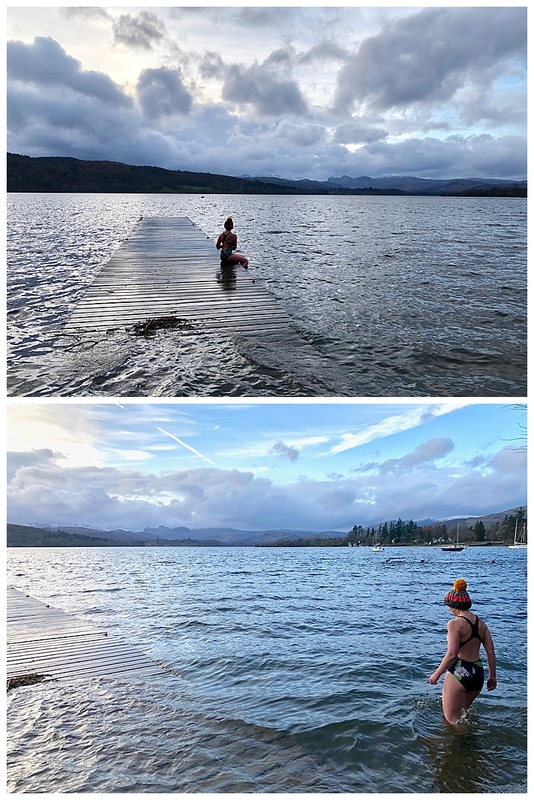 Whilst three of the ladies have actually been in to frozen zero degree water, I was unable to make that day and was genuinely gutted to not experience that. I have been in at sunrise and sunset and there has been sunshine, wind, rain, frost, snow and hail. 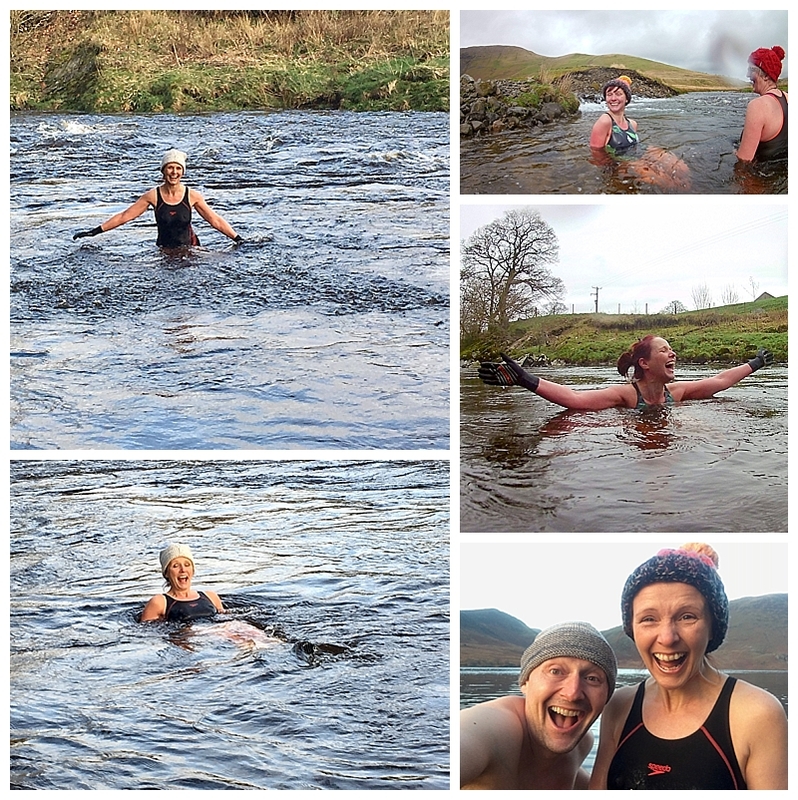 At every single encounter though, there has been laughter and this is just one of the reasons I continued to dip in to cold water throughout the winter. It makes me feel like a kid where you just appreciate the fun of life. You stop worrying for five minutes, laugh, swear and don’t care about anything but having a moment of genuine, non-materialistic fun. But it’s dangerous isn’t it? 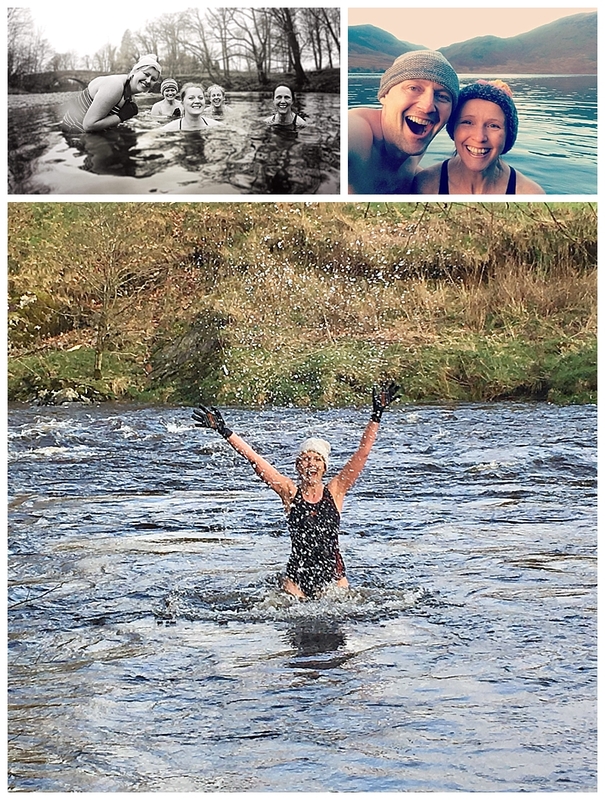 Cold water immersion is the term given when your body is immersed in cold water for a limited period of time and it can be both dangerous and good for you and it is often undertaken as part of sports training and recovery. 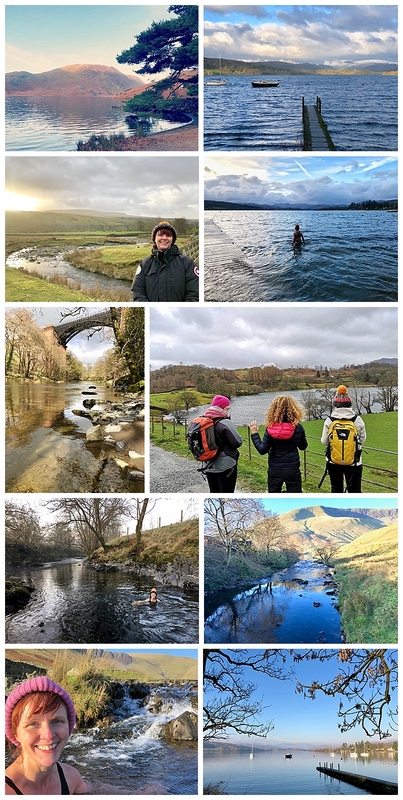 It is dangerous, for example, if you fall in to cold water, or do not take any cold water immersion seriously, with proper knowledge, or safety. There is much said however for the benefits to the body. You’ll get pneumonia, or hypothermia! Firstly you can only catch a cold via the virus itself, so yes if you come in to contact with the virus you are susceptible. You may be surprised to find the old tale of ‘you’ll catch pneumonia with wet hair’ is not true. Pneumonia is not contagious and is an infection in your lungs caused by breathing in infected particles, bacteria, or can develop via a cold, or the flu. Now if you don’t take proper precautions, you could get hypothermia, which is a medical emergency that occurs when your body loses heat faster than it can produce heat, causing a dangerously low body temperature. 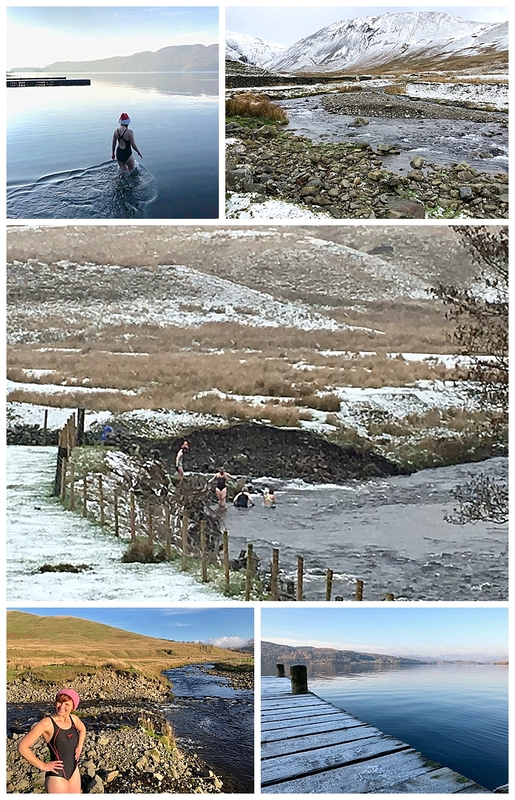 All of us who go dipping were made fully aware of the signs of hypothermia, how to be aware that our body core is not so cold that it is at risk of this and we do not stay in too long to ensure no risk of this. Hence why I have termed some of this as dipping. We are sometimes not in that long to properly swim. 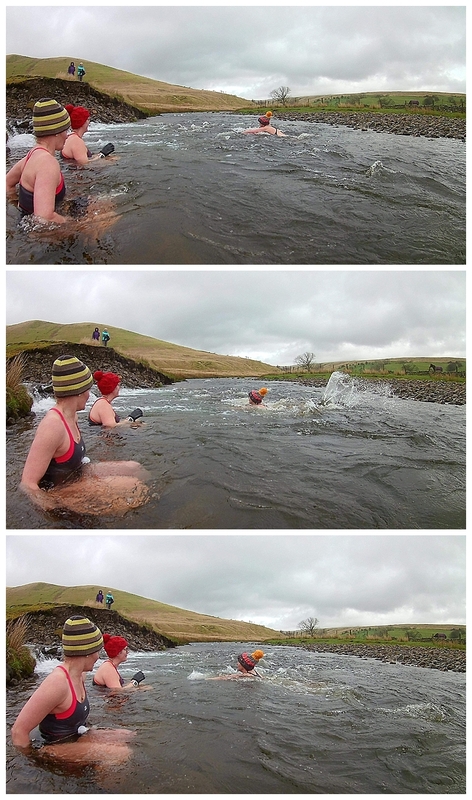 We look out for each other and warm up in a safe way after we exit the water. 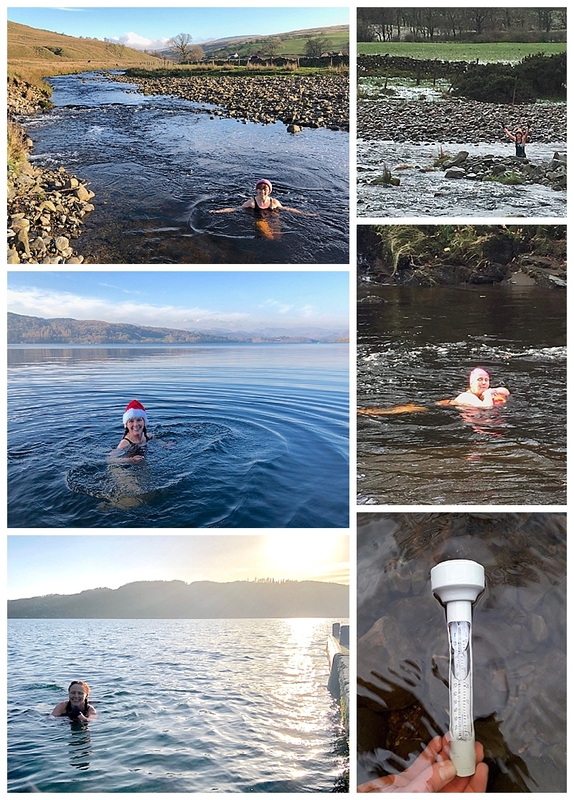 We have also been acclimatising ourselves over a long period of time to the temperatures of the water and not just jumped in without a care. 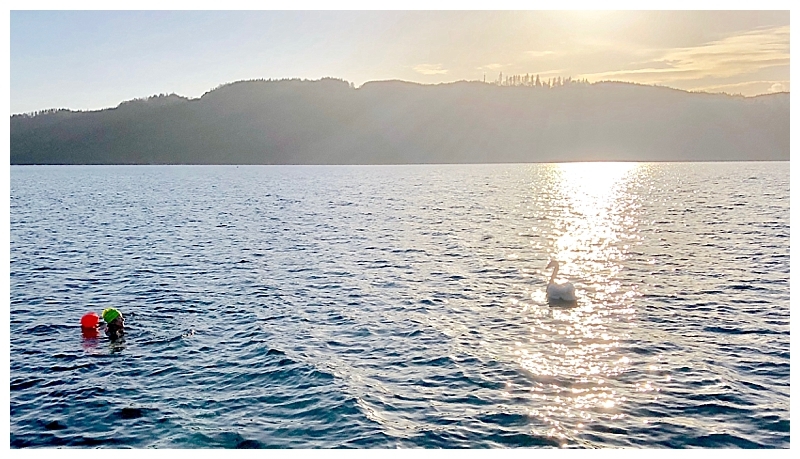 Well research has shown that plunging in cold water increases norepinephrine, which is a natural painkiller and over time it stimulates the immune system, which is why cold water can be recommended for arthritis, or injuries. Affects your metabolism and activates brown fat which is a good thing. 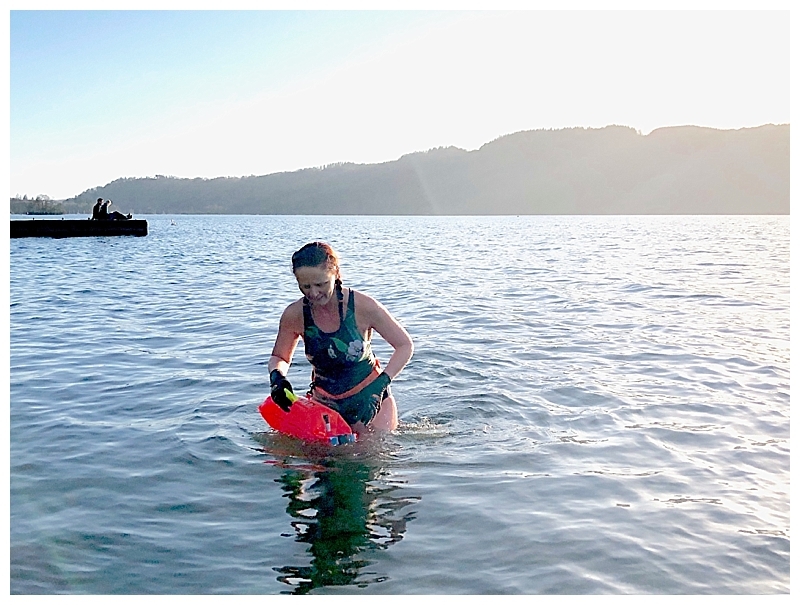 Please do note, I am not a scientist, doctor, or expert and my real advice is to take any open water swimming seriously. 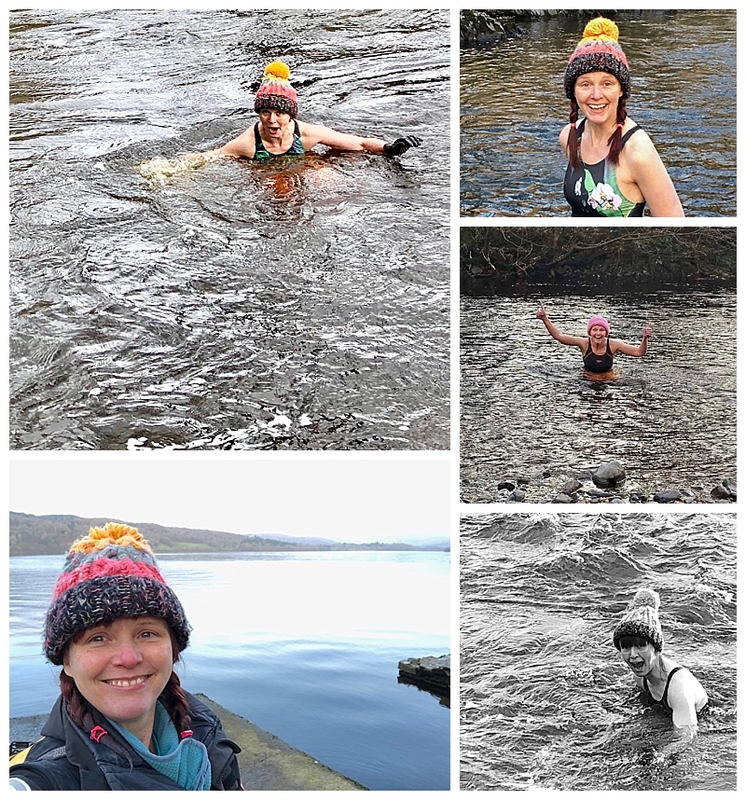 I have been on an open water swimming course, read articles sent to me by my swimming instructor on hypothermia, learned to swim front crawl so I am more confident in the water, been given advice on swimming across a river current by a kayaker and open water swimmer, I never go alone and have even been told by the local farmers when to avoid the rivers because they are muck spreading in the fields. I am also not qualified to take anyone out swimming with me and what I do with my friends is at my own responsibility and due care of myself. 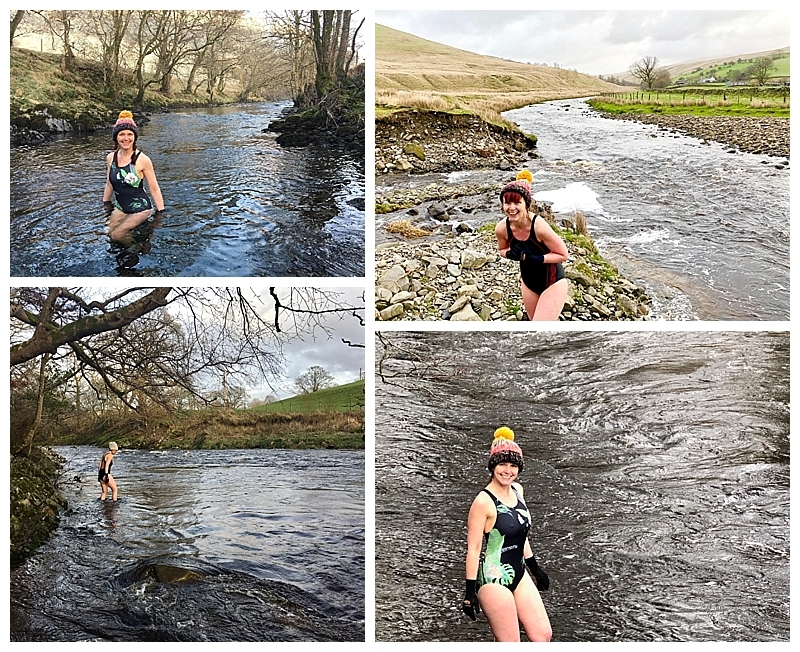 So unknown to anyone apart from Damian, I set myself a challenge to see if I could dip, or swim in open water every day throughout the whole of March this year. Spoiler alert – I didn’t! I was inspired by all of those people in January who set themselves a challenge to do something every day, like the ‘Run Every Day’ challenge. I am not competitive and do not have an addictive personality in any way shape or form. I see friends commit to doing things and wonder why I never feel the need to compel myself to such challenges. 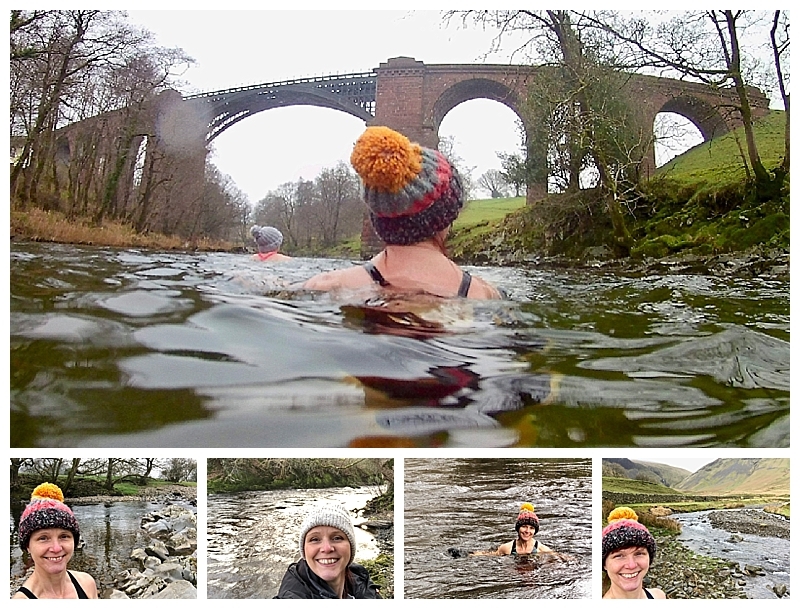 So in a weird experiment, I thought I would see if I could go swimming every day, no matter what the weather. 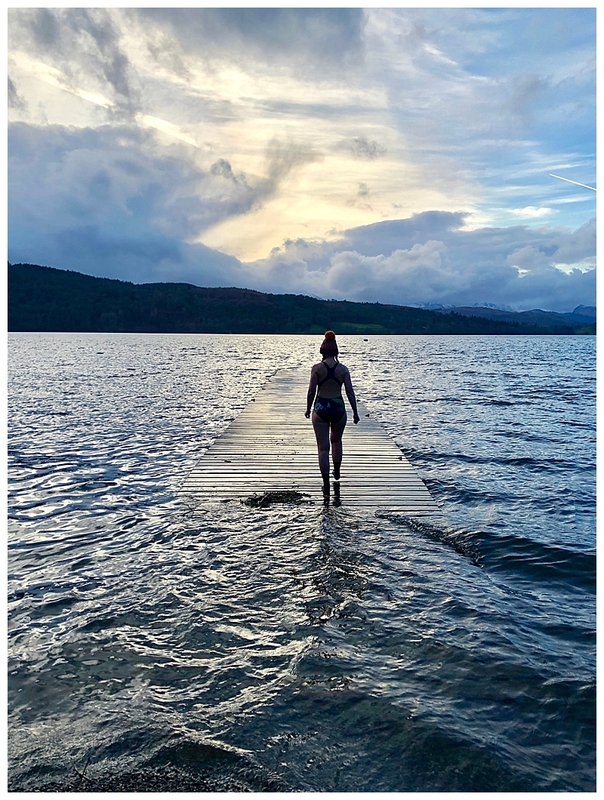 If you followed the January swimming adventures of Gilly McArthur, you may start to understand what sparked my inspiration. The rains and high rivers of March were against me and so it did actually become too dangerous by day 12. 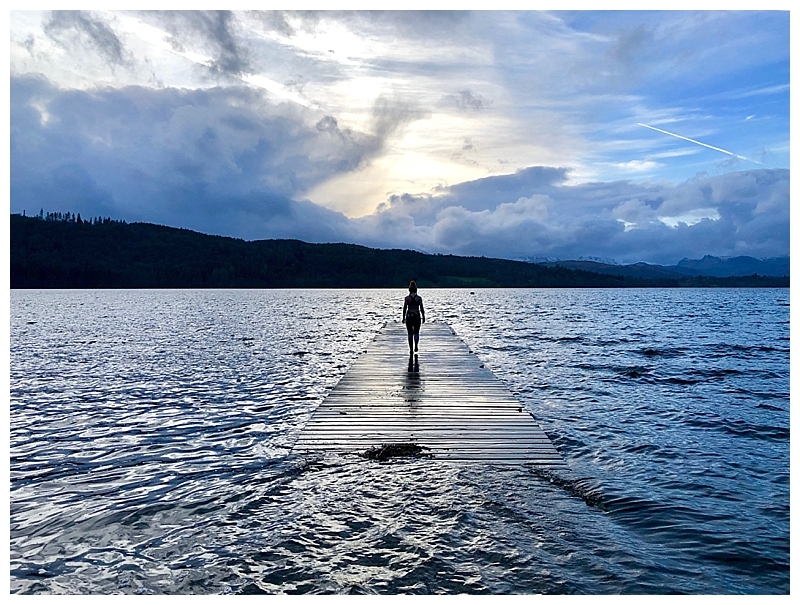 I could have made my way to a lake or tarn, but at the end of the day, these kind of challenges take time and I was just not prepared to take out the extra time from a busy schedule to do this. I learned I thankfully do not feel the need to complete something if it doesn’t benefit me. I did however manage 11 days in a row and completed 19 days in total, that included 8 locations and swimming for 2 friends’ birthdays. 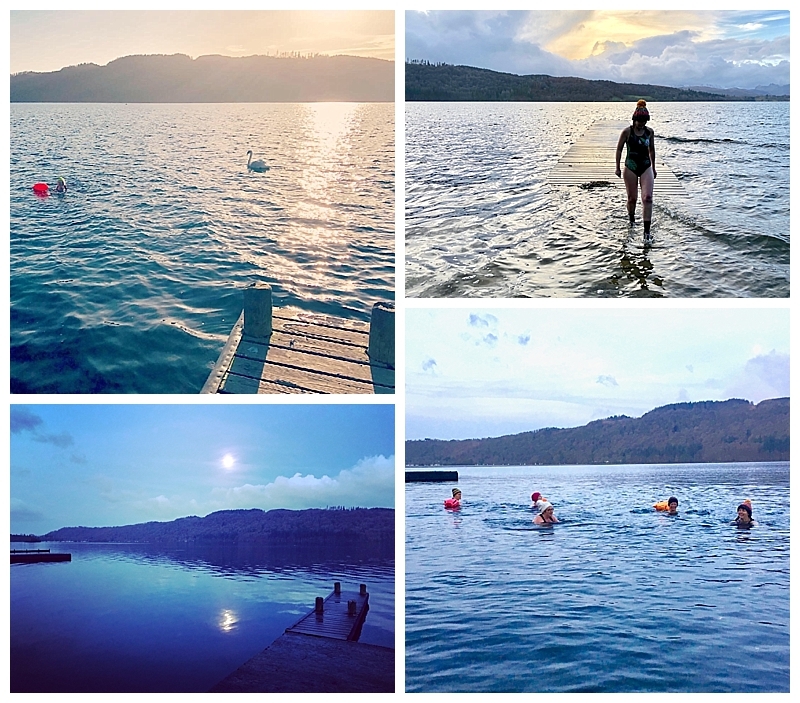 (Since November I have been swimming in 11 locations up here – 12 if you count the local swimming pool for training.) I’ve even taken my pro camera in to the water with me – wetsuit on and waist depth only for that though. 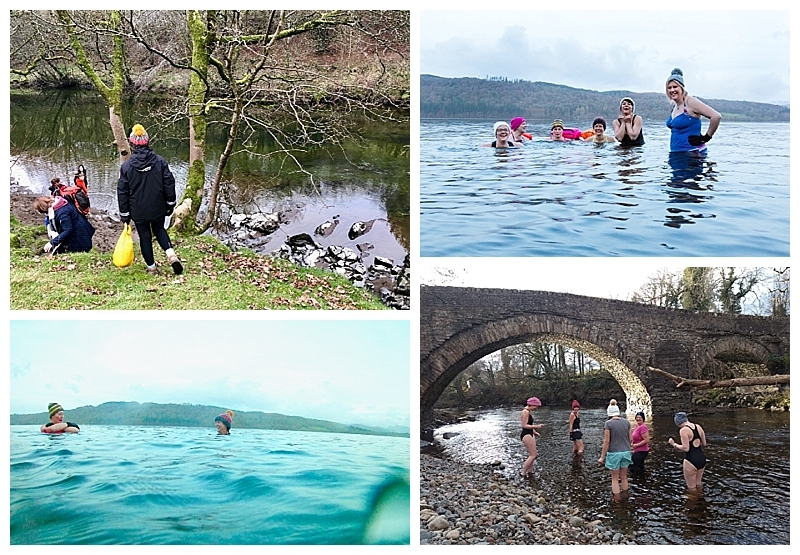 What have I learned about cold water, open water swimming? I have learned it is so much fun, but never to be taken without an awareness of the dangers. Wetsuits mean you can swim for longer, but boy oh boy, they do not help with that cold water on your face when swimming front crawl. Dunking your head under water for a short period though is flipping awesome! 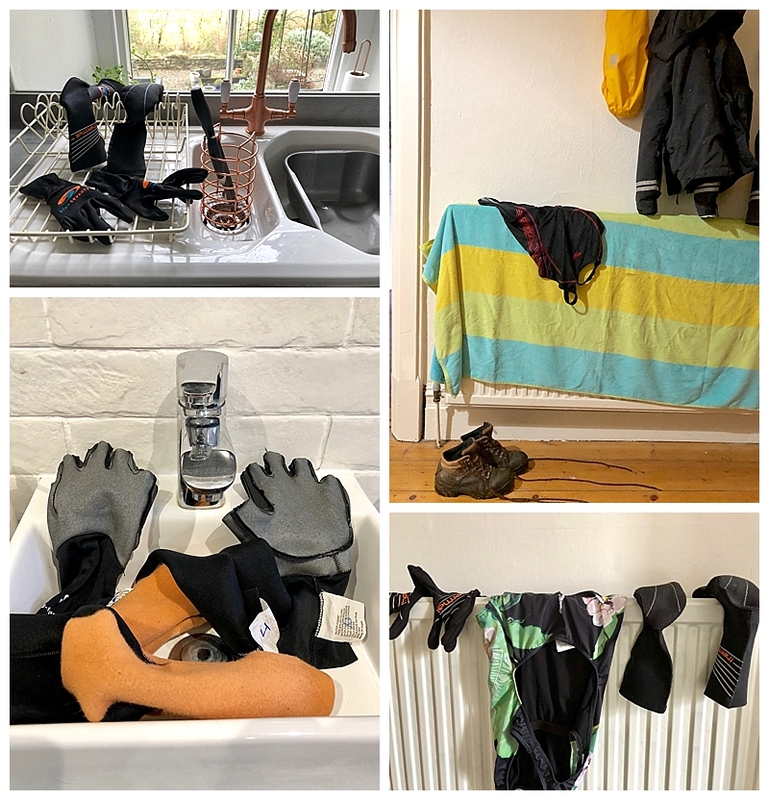 Our home often has various ‘cold water swimming items’ hanging around, drying out. Woolly hats help make you feel warmer when that winds blows – the rest of your body is under water so it doesn’t matter. I have always have had (family trait) very slight raynaud’s, but thankfully I only get the discolouration and no pain. Despite what the carefully staged photos hint at, I have not discovered a graceful way to get in and out of the water. 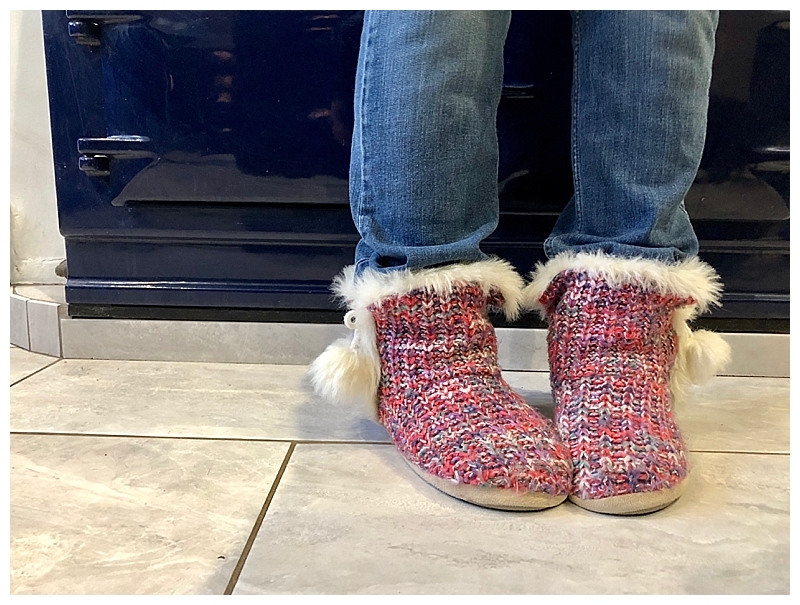 An Aga and slippers help you warm up really well afterwards, as does doing housework. 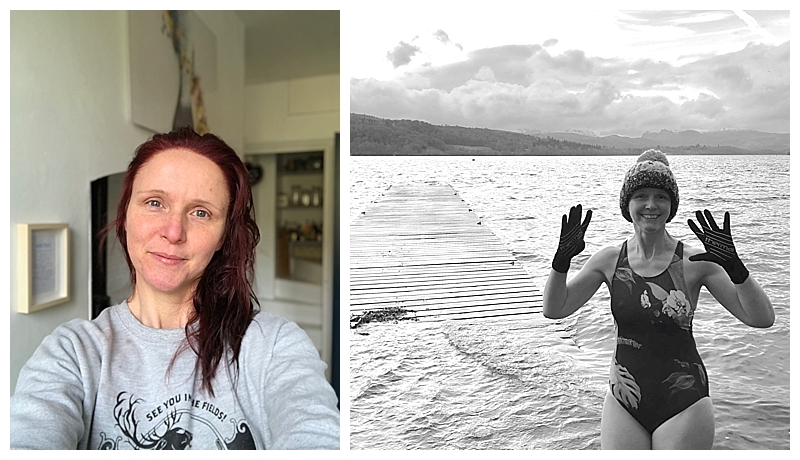 I have survived 5 months over the winter without injury, illness, or harm and simply had the benefits of just pure enjoyment and now have a slight smug feeling knowing swimming this summer is going to be ace.